The focus on health has never been greater, sparking the growing need for professionals with deep knowledge of how exercise can prevent injury and disease. No matter your goals, our MSEP program will prepare you for a career focused on improving health through fitness and nutrition. Our graduates are prepared to work in clinical settings, research, education, nutrition, pharmaceuticals, public health, or the medical device industry. 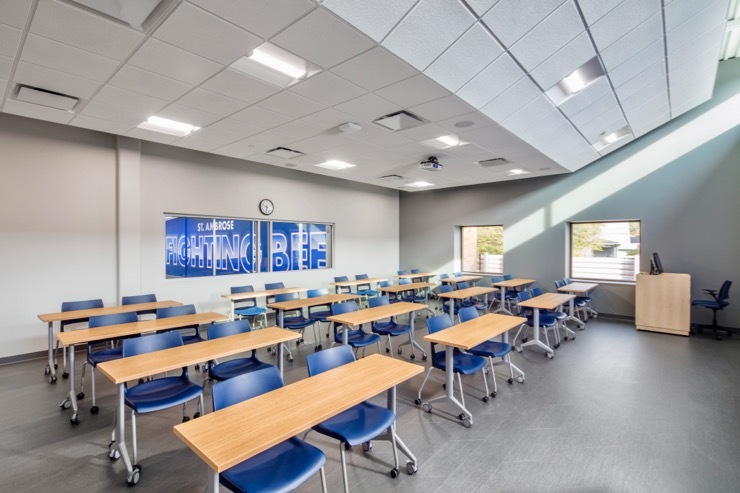 The MSEP program at St. Ambrose allows you to earn your degree in as few as 12 months, grow your knowledge and experience through research, be guided by faculty with diverse expertise, and apply your new skills in state-of-the-art labs. 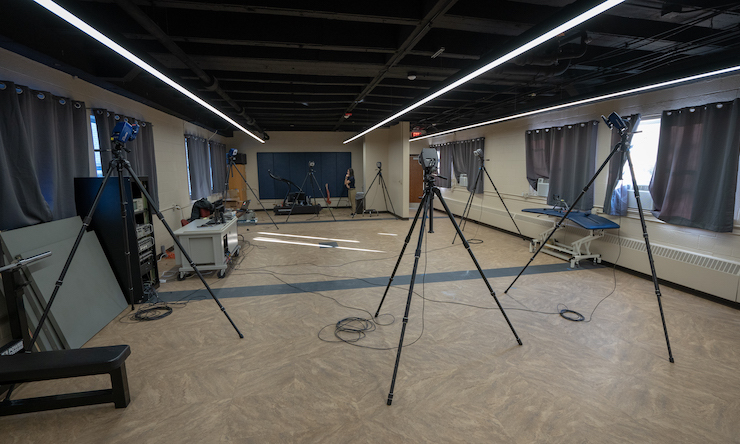 Perform calculations and physiology experiments in Hayes Hall, where our new labs are fitted with the latest technology to capture human movement and performance. 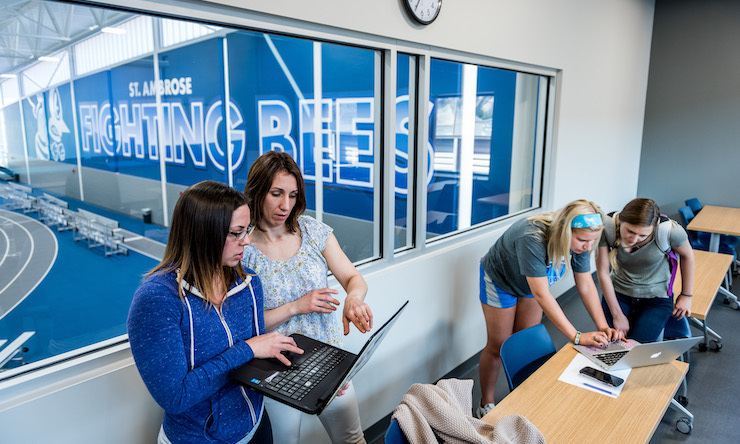 In the newly-built, 80,000-square-foot Wellness and Recreation Center, you'll have all the room you need to study and research in specialized classrooms and exercise physiology labs. We give you the academic foundation to assess, plan and implement fitness programs to help people improve cardiorespiratory function, body composition, muscular strength, muscular endurance, or flexibility. You will learn basic biochemistry and pharmacology principles, medical physiology, advanced exercise physiology topics, investigate biomechanical aspects of human movement, performance, and injury; nutrition and its role on physical activity and athletic performance; and movement and physiology as it pertains to general health, performance, and injury/disease. You will study the latest research in exercise science and human performance and take the lead on an original research project. You choose the track that best fits your goals. We offer a 12-month or 15-month program (includes a thesis). 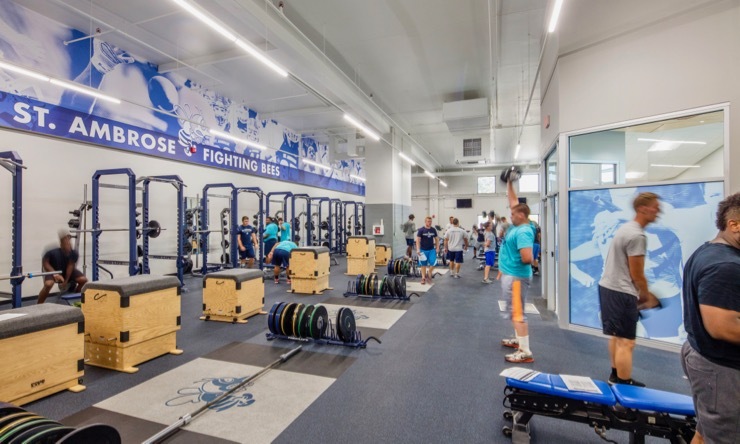 Our program will prepare you for certification exams offered by the American College of Sports Medicine (ACSM) and National Strength and Conditioning Association (NSCA). MSEP faculty will assist students who seek observation hours to meet their clinical goals. What are some potential job outcomes? This degree gives you so many options. 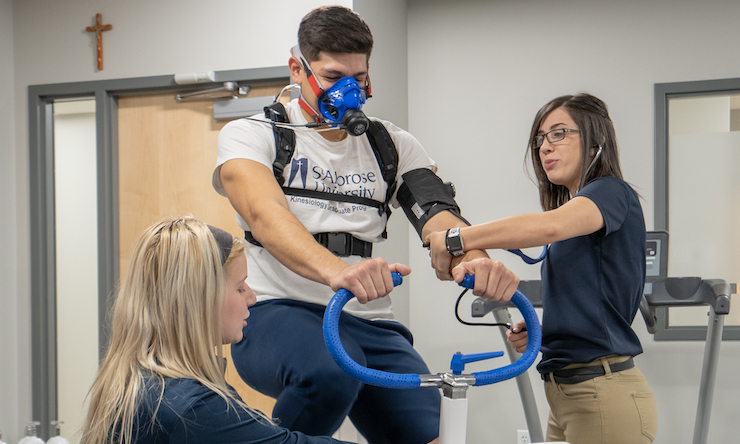 The Bureau of Labor Statistics predicts employment in exercise physiology will grow by 11 percent by 2024 – which is faster than the average for all occupations. We will prepare you to work in a variety of settings: research, education, nutrition, self-employment, and healthcare. Clinical positions, such as cardiac and pulmonary rehabilitation, also are possibilities. Some graduates choose to work in the pharmaceutical and medical device industries; public health; or within government agencies such as the Center for Disease Control and Prevention. Our graduates are well-qualified to enter doctoral programs or begin graduate studies in health professions such as physical therapy. We give you a different option: our MSEP program is research-based and you can earn your degree in as little as 12 months, which is half as long as most graduate programs require. We offer a thesis and non-thesis option so you can cater your education to your career path and achieve your goals. 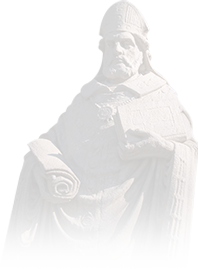 Our academic program is focused on research, and for good reason. 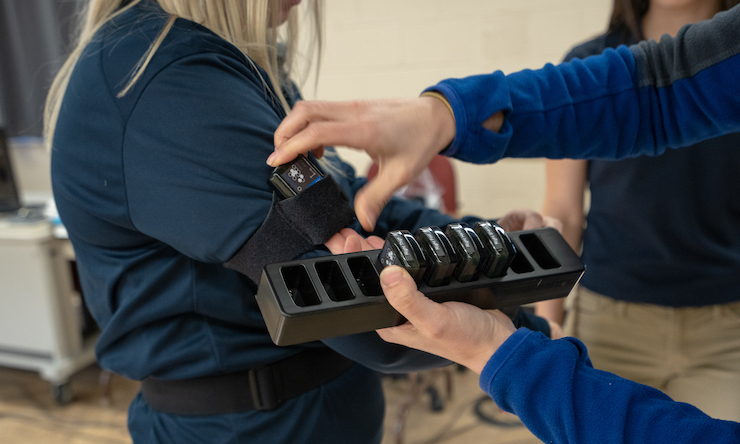 Exercise physiologists who choose careers in rapidly advancing, and growing, fields such as wearable technology, nutritional supplements and exercise equipment need that background. It also helps exercise physiologists who want to specialize in cardiac rehabilitation or be a university-level strength and conditioning coach. Each field requires a deep understanding of how the human body performs and responds--knowledge you need to guide a person to a healthier lifestyle. We want our graduates to have the skills to be successful today and tomorrow. During the program, you get to apply what you learn in our brand new, state-of-the-art Wellness and Recreation Center. 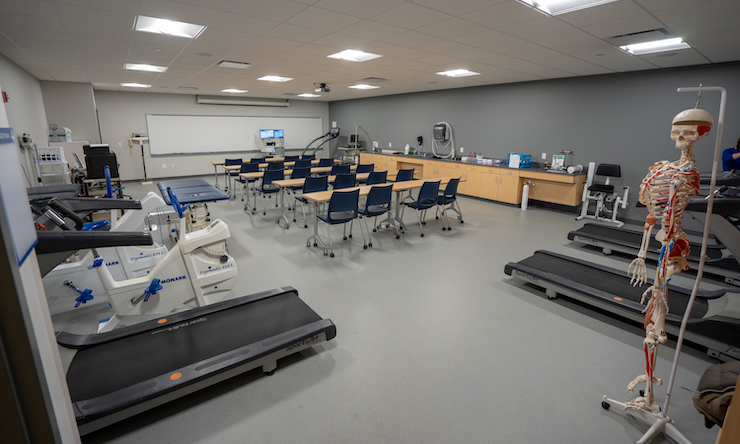 This massive, 80,000 square-foot building holds exercise physiology laboratories, classrooms, research-quality equipment, and a group exercise room. 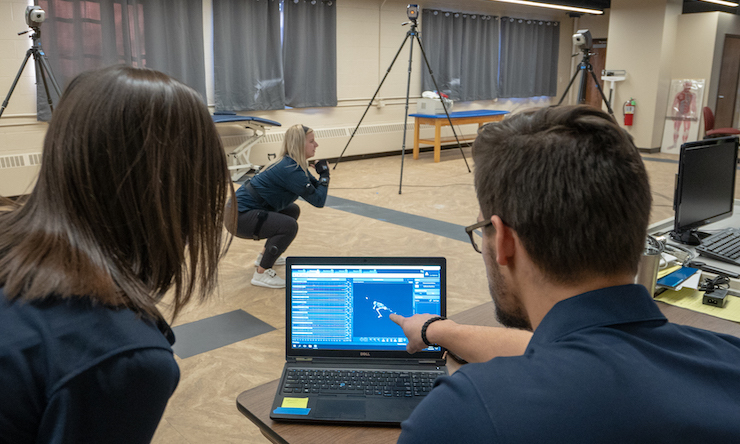 Our professors represent diverse fields of expertise and research, which ensures you receive a well-rounded education in all areas of exercise physiology and kinesiology. At SAU, we are proud of the personalized attention we give students. We cap our MSEP cohorts at 20 students, and cohorts begin each summer. At SAU, you have the resources needed to succeed in class, in your career, and to further your goals. We realize the cost of a graduate education can seem daunting, but our students know that the investment they are making is worth every penny. Tuition is $720/credit hour for the 2019-20 academic year, and there are a few additional fees for technology and graduation. We encourage students to consider serving as a graduate assistant, office worker, or adjunct; please see those details below. By spending up to 20 hours per week assisting our faculty and serving in other, non-teaching roles on campus, your tuition bill is reduced. You can see complete information about scholarships, loans, and grants on the Graduate Financial Aid page. The Master of Science in Exercise Physiology offers two paid graduate assistantships and other campus departments also have GA positions. To learn more about a graduate assistantship opportunity or apply for an open position, contact Human Resources and click on "See Current Job Openings." Read about the admission requirements to the Master of Science in Exercise Physiology program. Applications are due Jan. 31 each year or until cohort is full. All courses are 3 credits until otherwise noted. Please refer to the Online Course Catalog for course descriptions.